The Department aims to promote academic excellence and develop expertise to influence and contribute to public policy and decision making through teaching, research and training. The department comprises of multidisciplinary team of academicians and professionals drawn from fields from Economics, Management, Law, Sociology/Anthropology, Governance, Urban Management etc. The department offers M.A. 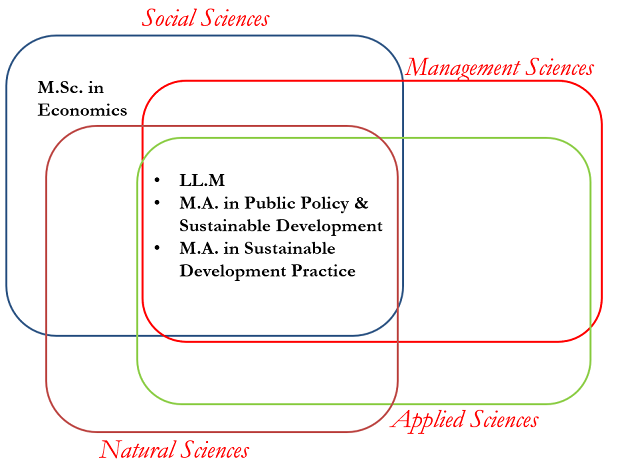 in Public Policy and Sustainable Development, Sustainable Development Practices, M.Sc. in Economics (with specialization in Environmental and Resource Economics), and LLM (LLM programme with specialisation in Environment and Natural Resources Law and Infrastructure and Business in addition to doctoral and several other short term programmes targeted for fresh graduates and mid-career professionals. 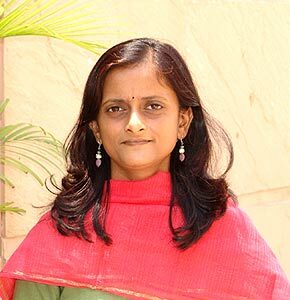 Dr Smriti Das HoD and Associate Professor "Dr Das's research pertains to institutions, policies, politics of resource management and issues pertaining to rural development in India. Her interdisciplinary training and experience in implementation of development projects has given her research an edge especially in the area of managing natural resources. While, at CISED and ATREE, she looked extensively at the issue of diversion of forestland for non-forest use (from a political economy perspective) and the implementation of Forest Rights Act of 2006."